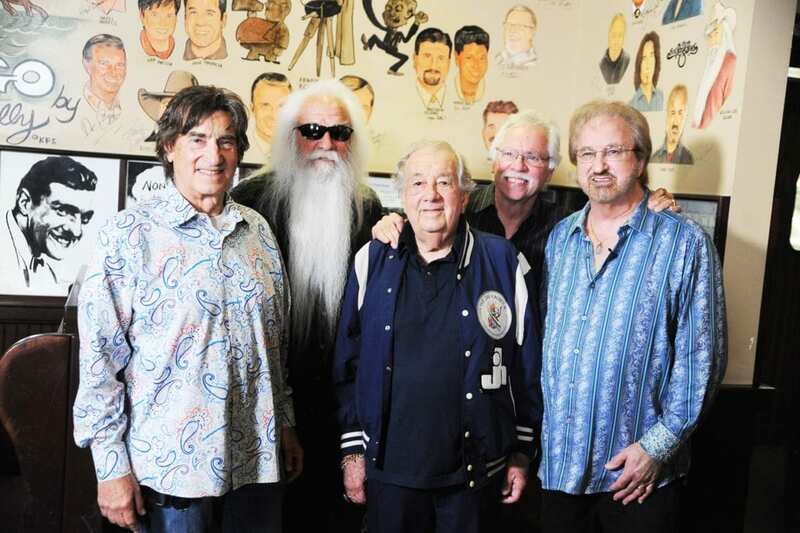 Country music manager impresario Jim Halsey (center) is surrounded by the world-famous Oak Ridge Boys shortly after the caricature unveiling. 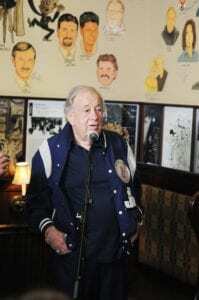 Photos by Earl Flippen, Jr.
NASHVILLE, TN — The Oak Ridge Boys had the official unveiling of the caricature artwork for legendary Country music manager and impresario, Jim Halsey, at The Palm restaurant downtown. The Country Music Hall of Famers and Grand Ole Opry members are one of many Hall of Famers and Grand Ole Opry members are one of many legendary artists that Halsey is responsible for guiding the careers of, over the course of his storied 69-year career in music. Jim Halsey speaking to the media and guests at The Palm Restaurant. Jim Halsey has been a pioneer of country music innovation and expansion, transforming a once colloquial commodity into a global force. Halsey played a key role in the direction and management of country music giants. He has guided the careers of some of the most iconic figures in country music, including Roy Clark, Lee Greenwood, Dwight Yoakam, Waylon Jennings, The Judds, Hank Thompson, Merle Haggard, Reba McEntire, Wanda Jackson, Freddy Fender, Roy Orbison, Tammy Wynette, Rick Nelson, Clint Black, Minnie Pearl, James Brown and The Oak Ridge Boys, who he’s managed for over 40 years. Halsey’s vision, marketing, and passion was fundamental to the rapid growth of a genre that may otherwise have taken many more years to develop. His leadership and vision resulted in The Jim Halsey Company becoming the biggest Country music agency in the world.